Richmond, Virginia—Border agents must obtain a warrant to search travelers’ phones, tablets, and laptops, which contain a vast trove of sensitive, highly personal information that is protected by the Fourth Amendment, the Electronic Frontier Foundation (EFF) told a federal appeals court today. Searches of devices at the border have more than doubled since the inauguration of President Trump—from nearly 25,000 in all of 2016, to 5,000 in February alone. 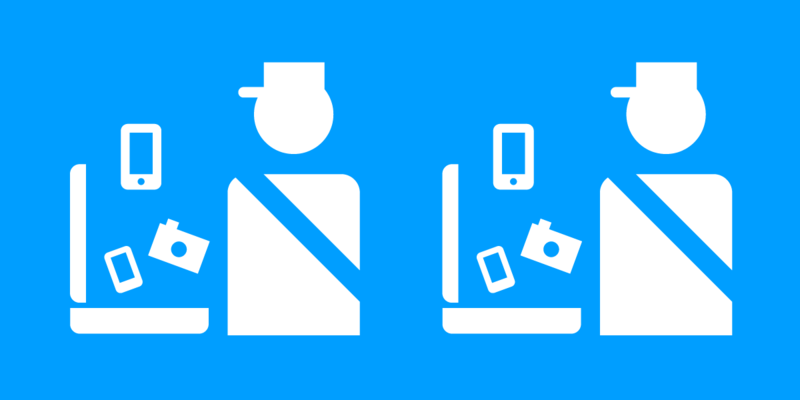 This increase, along with the increasing number of people who carry these devices when they travel, has heightened awareness of the need for stronger privacy rights while crossing the U.S. border. While the Fourth Amendment ordinarily requires law enforcement officials to get a warrant supported by probable cause before searching our property, in cases that predate the rise of digital devices, courts granted border agents the power to search our luggage without a warrant or any suspicion of wrongdoing. But portable digital devices differ wildly from luggage or other physical items we carry with us to the airport because they provide access to the entirety of our private lives, EFF said in an amicus brief filed at the U.S. Court of Appeals for the Fourth Circuit in the border search case U.S. v. Kolsuz. In 2014 the Supreme Court noted that cellphones now hold “the privacies of life” for people, including highly personal, private information such as photos, texts, contact lists, email messages, and videos. Many digital devices can access personal records stored in the “cloud,” such as financial or medical information. Before smartphones were invented, that kind of information would be kept in our home offices, desk drawers, or basement storage. If law enforcement officers wanted to enter your home or lock box as part of a search, they’d need to go before a judge, prove probable cause that you’re involved in a crime, and get a warrant. It’s never been more important for courts to follow the standard set by the Supreme Court about cell phone searches and apply it to borders searches. Reports have surfaced of border agents searching the devices of innocent U.S. citizens, green card holders, and foreign visitors. While all kinds of travelers have suffered this intrusion, many reports involve journalists, Muslim-Americans, and Americans with Middle Eastern-sounding names. Asian Americans Advancing Justice-Asian Law Caucus, Brennan Center for Justice, Council on American-Islamic Relations and six of its chapters, and The National Association of Criminal Defense Lawyers joined EFF in filing the brief. “Law enforcement officials should be required to meet the same standards for searching our cell phones wherever we are—in our cities, on the highway, at vehicle checkpoints, and at the border. Regardless of the location, when officials want to crack open the private information in someone’s phone, they must first obtain a warrant,” said Schwartz.